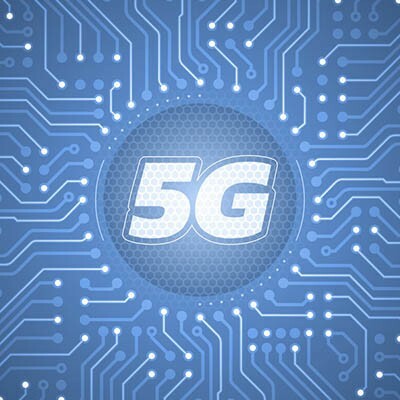 One of the biggest issues is the range that the anticipated 5G signals are projected to have - more specifically, the range that Enhanced Mobile Broadband (eMBB) through millimeter wave (mmWave) is capable of reaching. This eMBB is what smartphones would utilize. A 4G signal, the current standard, has a range of anywhere from three to thirty miles. In comparison, mmWave reaches about a third of a mile. Just imagine how many new cell towers would have to be added to the existing infrastructure for 5G to be implemented. Of course, it’s also likely that looming cell towers will be replaced by then through the adoption of microwave oven-sized femtocells that can be affixed to other pieces of infrastructure, like traffic signs, light poles, and even buses. Unfortunately, it would seem that there would need to be quite a few of these femtocells, just to ensure a clear signal to a device at any given time. This is because, in addition to being relatively short-ranged, mmWave is a notoriously easy signal to block. Furthermore, there is also the question of providing each femtocell with enough bandwidth to support the high volume of use. This will require expensive high-speed fiber wiring to connect them, as the femtocells won’t be able to share their data with each other efficiently enough to make up for the difference. Cloud computing has made it easier to manage networks by far, so it is only to be expected that these femtocells will leverage the cloud as a management tool. Virtual networks can be created in the cloud to help manage 5G through the utilization of software-defined networks (SDNs) and network function virtualization (NFV). The problem here is that there are multiple SDNs and NFVs, which means there is no unified standard. While there is an effort being made by the Linux Foundation to resolve this, it will take some time before this can be ironed out. Don’t get us wrong, 5G is definitely on its way. There are too many potential benefits for femtocells to be abandoned as a solution (did we mention how cheap they are to use?) and demand for better mobile bandwidth is too high to ignore. It is just going to take some time to overcome some of the technical hurdles. In the meantime, Washington Works can help you optimize your current business connectivity. Give us a call at 301-571-5040 to learn more.